When being logged-in, on front side WordPress display a top admin bar to facilitate an easy access to different areas and configuration options. 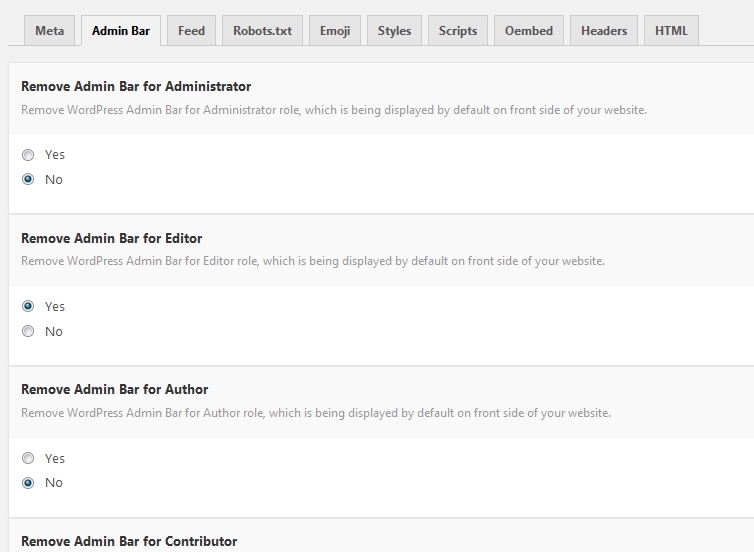 The Admin Bar module can be used to hide the default admin bar, for specif roles. We really care about customer support and do our best to help everyone. Support work takes time so please first check with Documentation area which should help in most cases with a solution to your problem. If can't find answer to your question, feel free to contact. Support replies can be a bit slower over weekend. Use mod_rewrite and URL Rewrite modules. Supports Apache, Litespeed, Nginx, IIS. WP Hide PRO now available !